Although not an everyday craving but every now and then, I want to satisfy my sweet tooth with something more indulgent than my usual small piece of dark chocolate – something like ice cream especially during the summer time. I am happy to share that I have found the best substitute for traditional chocolate ice cream – Yasso Frozen Yogurt, Chocolate Fudge. This frozen yogurt has a smooth, rich taste and is delicious. Unless you read the ingredient list on the package, it will be hard to tell that it is made from nonfat milk and nonfat Greek yogurt. In my humble opinion, one bar is actually big enough to be split into two servings. Even if someone was to eat the entire bar at one time, it is only 80 calories and it even provides 6 grams of protein. A similar serving of chocolate ice cream (I compared one bar to the same product weight for Breyers Chocolate ice cream) has 140 calories and only 2 grams of protein. Yasso Frozen Yogurt bars come in several other flavors as well but calories vary with each flavor (generally more than 80 calories). 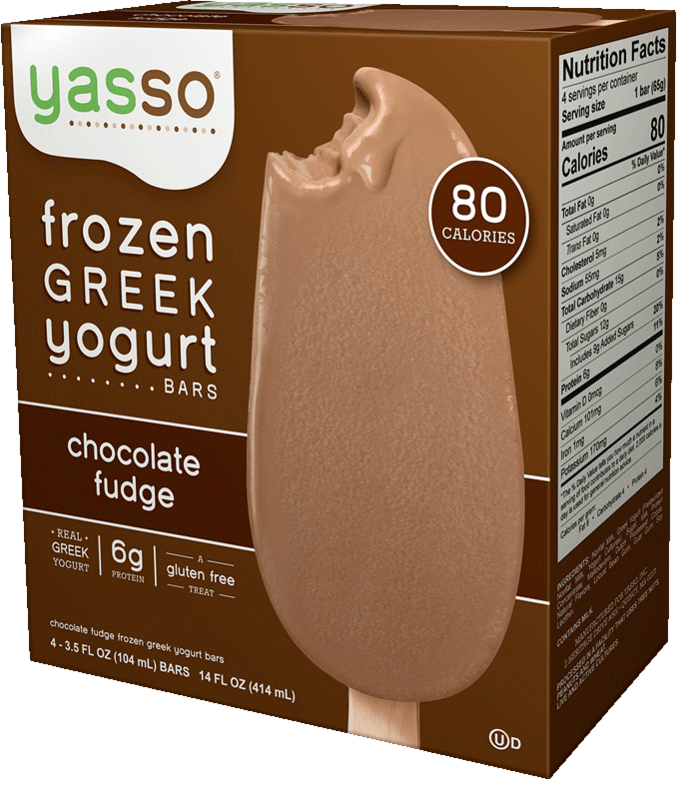 My favorite is chocolate fudge so far – the next time you go looking for a healthier alternative to chocolate ice cream, try Yasso Frozen Yogurt and let us know what you think!